and it will be a place for all of us who love Hero Arts to play together! It has been officially sanctioned by Hero Arts, and it will feature challenges twice a month! Please visit A Blog Named Hero to see my card, plus the projects of several other designers. The festivities have been going on all week, so scroll on down from the latest post to see even more, and then visit there again tomorrow for the final day. 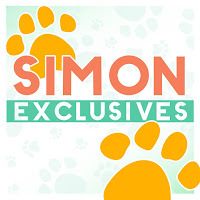 Be sure to become a follower of this new blog, so that you don't miss any of the upcoming challenges! The first challenge will begin April 1 - I'll see you there! 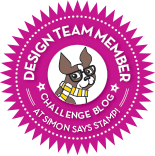 Simon Says Stamp is having another of its "Everything Goes" challenges, so I thought I'd enter this birthday card into it. Hi everyone! 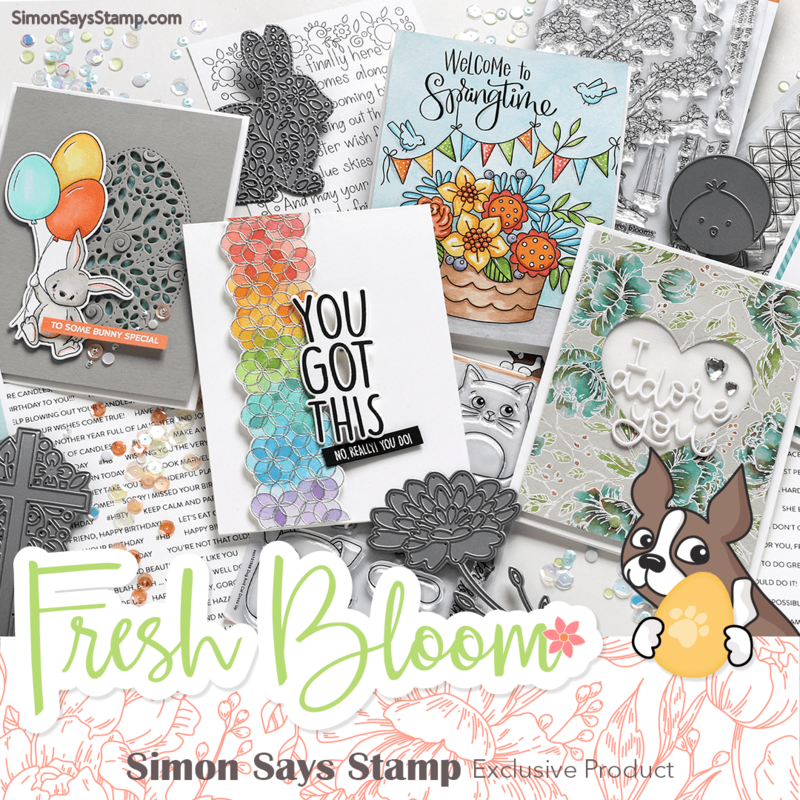 It's time for our monthly challenge at Lily Pad Cards sponsored by Simon Says Stamp! 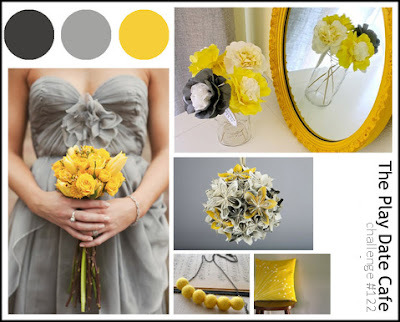 This month the theme is flowers. 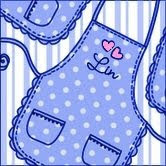 I used a new stamp from Penny Black that I fell in love with on sight, called Scented Message. To me, these are Forget-me-nots, so I colored them accordingly. At home I'll have clouds of these pretty soon in our gardens - such a wonderful blue, just like the sky! 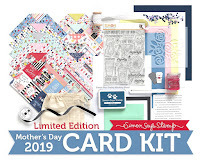 Please visit Lily Pad Cards to see what all the other Design Team members made for this challenge, and then enter your own card for a $25.00 gift certificate to Simon Says Stamp! 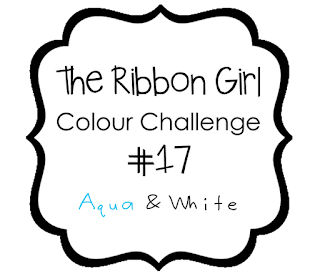 This month's color challenge at The Ribbon Girls blog is to use aqua and white. Since the aquamarine is March's birthstone, I thought I'd make a birthday card using these colors. 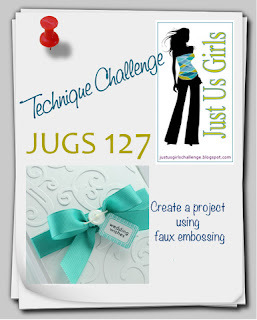 I ordered the new Papertrey Ink patterned papers in aqua mist, so they were perfect for this challenge! 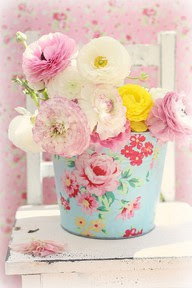 That floral bucket made me think immediately of this imaginisce paper and I was off! 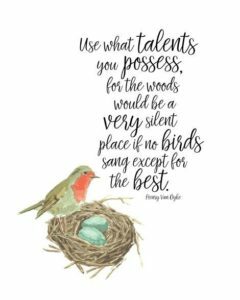 Since this is the first day of spring, that sentiment is so appropriate. (thanks, Virginia!) 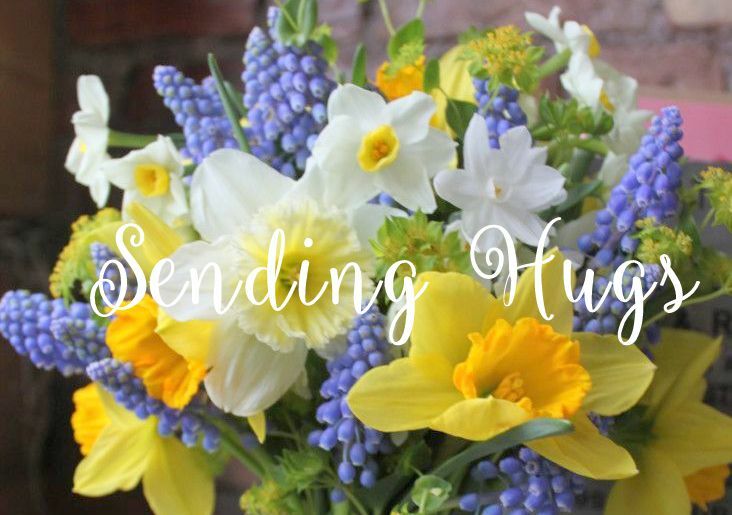 Happy Spring, all! I much prefer Debbie's printed papers; they make for a softer card, I think, but these solids were the only ones I could find close to the challenge colors. Thanks, Debbie, for your inspiration! I haven't played at the CREATE blog in a long time......Paige asked for cards using Vintage Florals, and I immediately thought of this sweet umbrella full of flowers that I found on Pinterest. Here is my card for this week's CASE Study, with Laura Bassen as our muse. 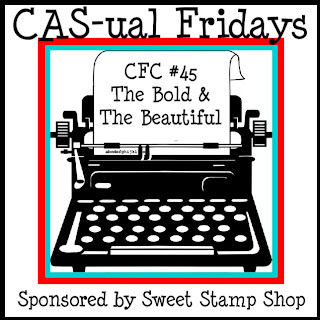 You should pop over to CASE Study and see all the fun takes on it! 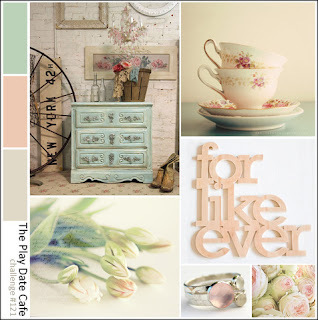 Isn't this a lovely room that Cath has chosen for our Tuesday Trigger inspiration this time at Moxie Fab World? This also works for the CAS-ual Fridays challenge, to use a pattern, an image, and a sentiment. Hi everyone! I hope you've had a good week, and I know you're looking forward to the weekend! 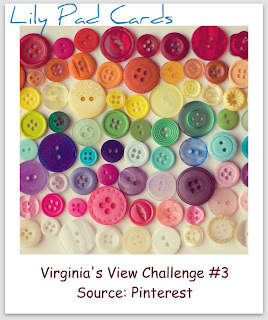 This week at Lily Pad Cards it's time again for another of Virginia's Views, and this one is so much fun! I know you'll be inspired by this one! 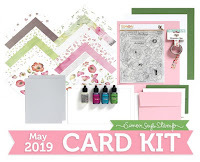 Be sure to visit Lily Pad Cards to see what my other teamies did with this set. 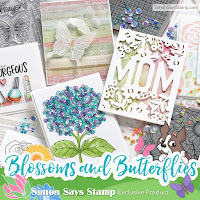 I love Flourishes stamps, especially their flowers, and spring is when they release so many pretty ones. 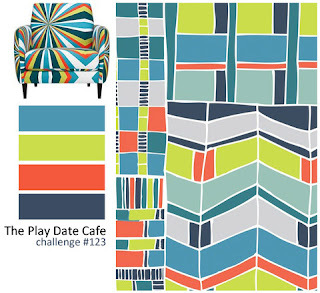 This challenge's winner will win the entire March release, so I couldn't resist giving it a try. The challenge is to use Lace and Scallops. 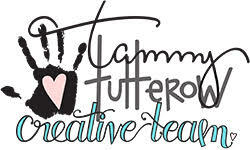 I depended solely on these pretty papers and lots of die-cuts for my card, stamping only the sentiment. Even the bottom paper panel has tiny little scallops! 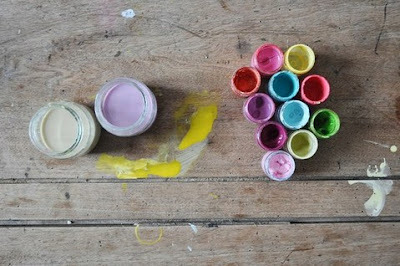 So what do you think about these colors? I like them! 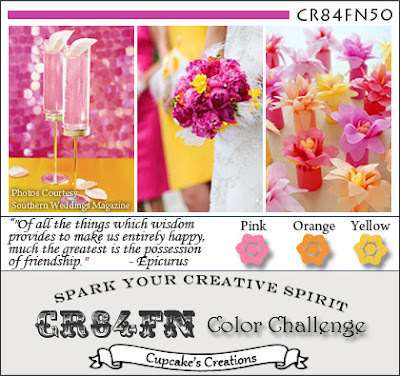 You should give them a try, too, and submit your card to Flourishes - their entire March release will go to the winner of this challenge!! The challenge at The Ribbon Reel is to use newsprint and ribbons. I stamped the sprigs using some Memento markers, 2 shades of blue and green. Sometimes a simple little bouquet like this is the most charming! 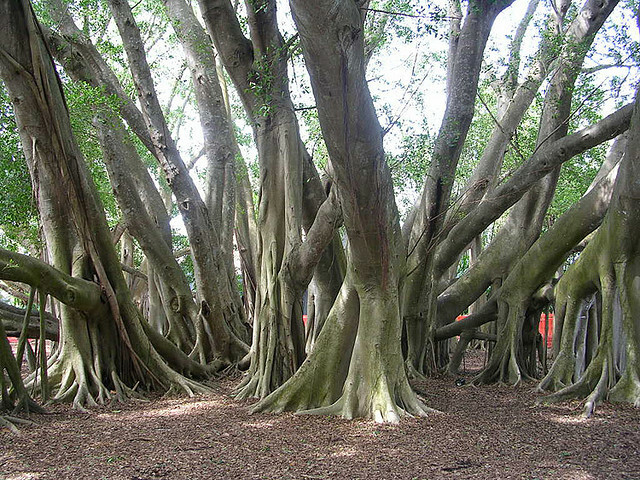 They cover 14 acres of the former estate of Marie Selby, and were born in 1975, after she left them to the city. The gardens specialize in plants called Epiphytes, which are plants that live on other plants but are non-parasitic. They are commonly called "air plants" and attach to their host plant for support and as a means to reach more sunlight. 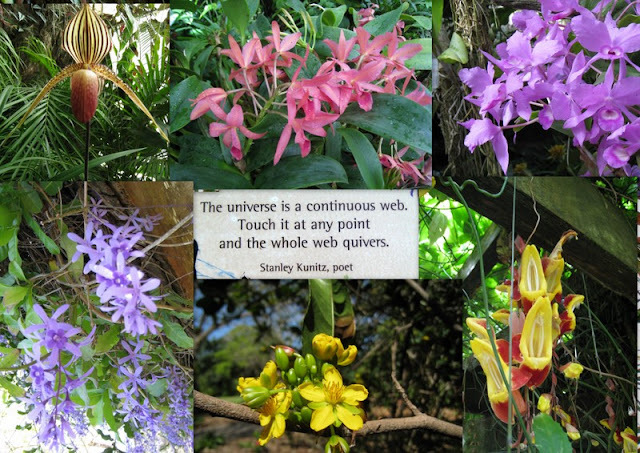 They can be found among orchids, bromeliads, ferns, heath and mosses. The most common one is Spanish Moss! 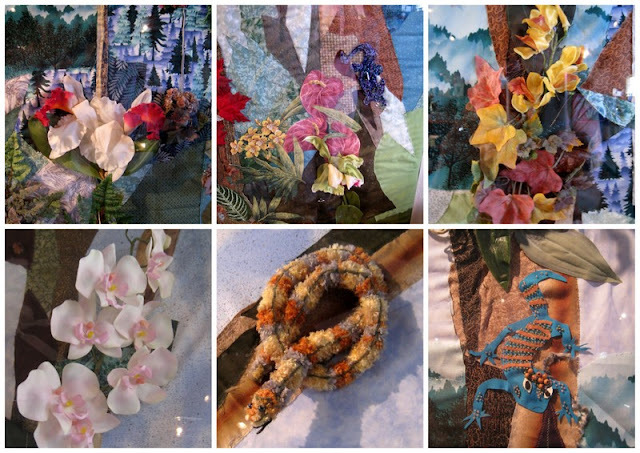 Here's a collage of some of the 3D elements that the maker, Ms. Raynor Pope added to it. See the snake and the lizard, as well as some beautiful orchids and other flowers. We spent a few hours at this beautiful place, and then headed over to St. Armand's Circle in Sarasota for a wonderful lunch at the Columbia Restaurant, billed as Florida's oldest and most honored Spanish restaurant. We had coconut crusted mahi-mahi with a mango and tropical fruit salsa and yellow rice, along with Sangria. Perfection! Entering this into the Simon Says Stamp "Anything Goes" challenge.